Size: approx. 5-10 mm. Photo: 06/24/11, 8 am. 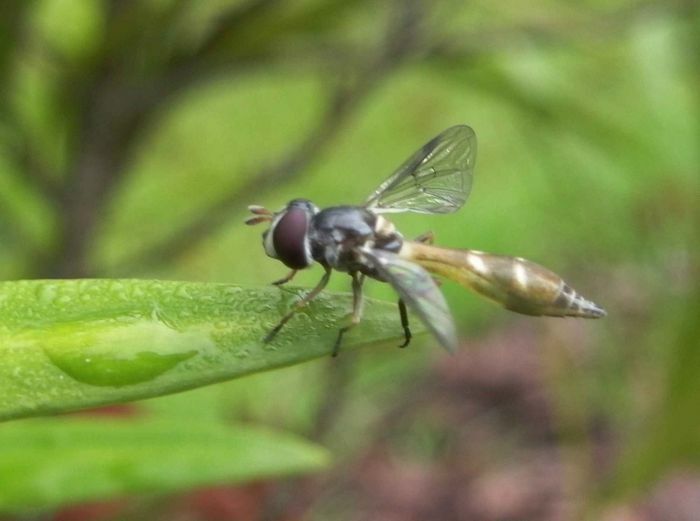 This small hoverfly is Pseudodorus clavatus. Under lab conditions, males and females live an average of 17 and 30 days, respectively.